Waituna Lagoon or (Lake Waituna as locals refer to it) is a large, brackish, coastal lagoon on the southern coast of the South Island which sits at the bottom of a small, intensively farmed catchment. Waituna Lagoon is almost 10 km long on its east–west axis, and up to about 3 km wide, and has a complexity of bays, peaty peninsulas, islets, and shallow gravel bars and beds. The lagoon itself is 1,350 hectares in total, and is part of the 20,000 hectare Awarua Wetland. Long shore drift of gravels has created a spit barrier behind which the lagoon has formed. By impeding drainage, the spit has allowed the development of thick peat deposits which extend several kilometres inland. Fed by three creeks the lagoon drains to the sea through a managed opening, usually on an annual basis. Waituna Lagoon is a different habitat when open to the sea and tidal (estuarine) to when it is closed and ponded (freshwater). Waituna Lagoon.Photo by Katrina Robertson. Historically, it was surrounded by peat bog wetland, which gave the lagoon its characteristic clear brown stain, low nutrient status, and low pH. It has high ecological habitat diversity, a unique macrophyte (aquatic plant) community, internationally important birdlife, and large areas of relatively unmodified wetland and terrestrial vegetation, resulting in a number of nationally significant ecosystems. In addition, it is highly valued for its aesthetic appeal, its rich biodiversity, duck shooting, fishing (for brown trout primarily), boating, walking, and scientific values. The lagoon and immediate surrounding area (a total of 3,500 hectares) was originally reserved for wetland management purposes in 1971. The unique plant and animal life lead to it being designated a Ramsar Wetland of International Importance in 1976 and classified as a scientific reserve in 1983 when it became known as the Waituna Wetland Scientific Reserve. The extent of the Ramsar site was increased in 2008 to include nearby wetland areas and the addition of three major estuaries: Toetoes Harbour, Awarua Bay and the Invercargill (New River) Estuary. It was then renamed the Awarua Wetland. Ramsar sites around the world acknowledge the flyways of migratory birds. A visit to New Zealand wetlands by migrating birds is a constant reminder of our global connections, with some birds travelling distances of 12 thousand kilometres non-stop from the Arctic. The surrounding wetland vegetation provides habitat for many species. Highly significant to Ngāi Tahu, Waituna translates to “water of eels” as it used to be a major food basket providing a wide variety of mahinga kai (traditional Ngai Tahu foods). The lagoon and wetland have also been a source of food and recreation for the wider community over many generations, such as fishers, hunters, trampers and bird watchers. In the past some commercial eel fishing also took place. The wetland is fed by a combination of direct rainfall, groundwater and by streams passing through the wetland to the coast. These streams drain into the Waituna Lagoon which traps sediment and nutrients. The wetland plays a general role in the recharge and discharge of groundwater, the maintenance of water quality. It is of great importance in supporting aquatic and terrestrial food chains. Environmental monitoring shows that water quality in the lagoon and the creeks that flow into it are under stress because of many years of land development in the catchment and changes in lagoon water levels. 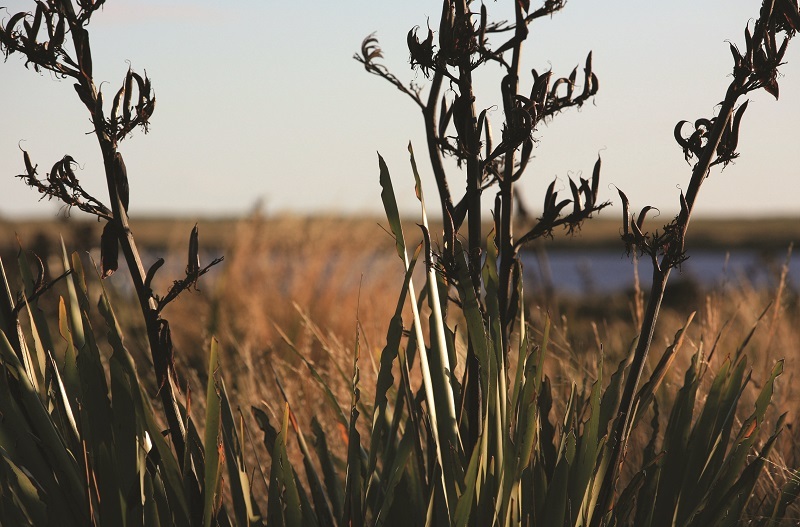 Land development in Waituna has included the drainage of wetland areas and the clearance of indigenous vegetation In the 1950’s, the main tributaries to the lagoon were straightened and Government schemes encouraged people to clear and develop the surrounding land. These factors pose the risk of the lagoon becoming eutrophic (murky water dominated by algal slime).